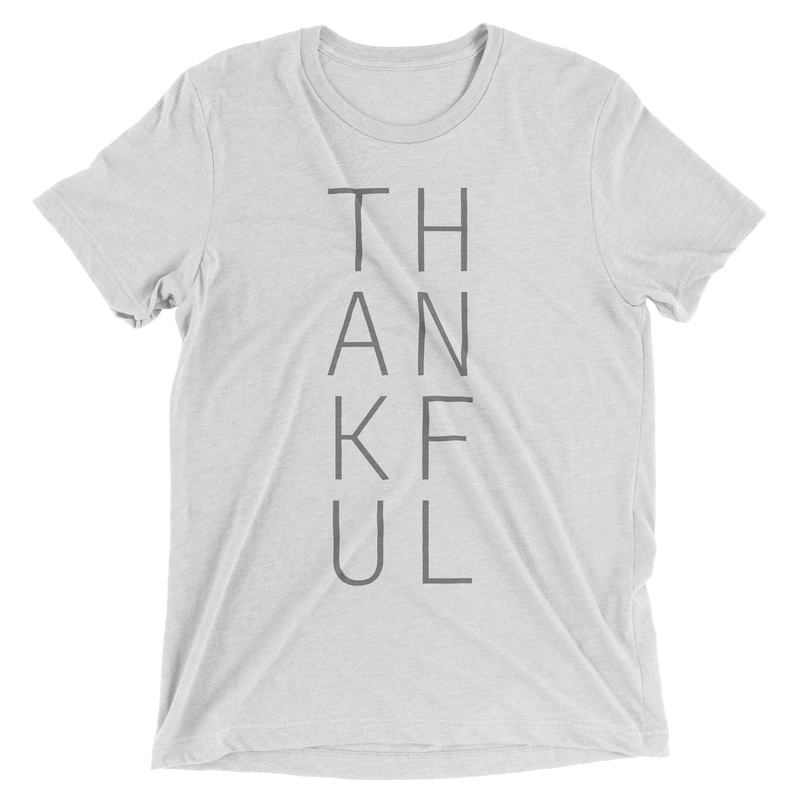 Display your thanks to our Heavenly Father with this exclusive 'Thankful' t-shirt in light grey. This short-sleeved unisex tee is available in a variety of sizes so you can be openly thankful in faith and in life. The Bible tells us to be thankful in everything and in all circumstances. Every opportunity and experience we are permitted to have is the gift of an abundantly loving Heavenly Father. Often, we can be withholding of our thankfulness - restricting that response to occasions when we are given a service. But we are asked to be thankful at all times for all things. Thankfulness is a posture we are called to hold in life. It is found at the heart of the Christian faith and it is a declaration of obedience to God the Father. 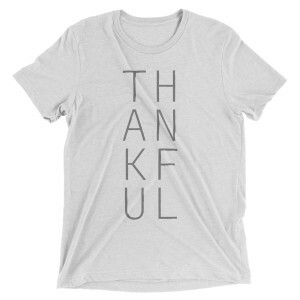 Click here to bundle the Thankful T-Shirt with the Revive Us DVD! Perfect T-shirt - high quality, comfortable &amp; looks great! I love the message on this shirt - I would absolutely recommend buying this.